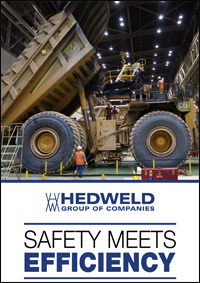 Hedweld Group of Companies consists of five companies – Hedweld Engineering Pty Ltd, Hedweld USA Inc., Safe-Away Pty Ltd, Mecensol and Justoy Pty Ltd. They become known for their Trilift range of component handling equipment and the Safe-Away range of access systems. Both ranges offer high quality products – all of which specifically designed and built to improve safety and efficiency within the mining and earthmoving industries. Hedweld’s head office and manufacturing facility are located at Mt Thorley, New South Wales, in the heart of the Hunter Valley coal mining region. Sales and support offices are also maintained in Mackay in Queensland, Perth in Western Australia, and in the USA in Post Falls, Idaho. Through agents, the company also holds down presences in Canada, South Africa, Peru, Chile and Columbia. The company was first established in 1980 by founders Ian and Jan Hedley. 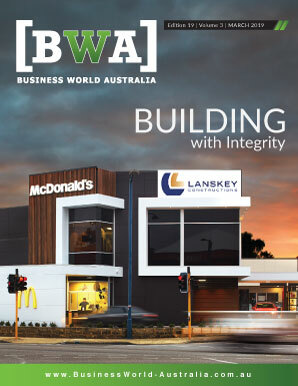 From the beginning, the idea for the company was to service the mining industry in Hunter Valley. At first, it was just the Hedley’s and a single welder doing some repair work. From there, the company grew to develop their two product lines and branched out into five separate companies. Mark describes the main arm of the group as being Hedweld Engineering – which does all the processing, fabrication, blasting, painting and assembly of their Trilift and Safe-Away products. That branch is supported Mecensol, which is the group’s mechanical engineering division. Mecensol does all their drafting and technical documentation, including their manuals and training packages. Today, the company employs roughly 75 full time staff and 25 trainees and apprentices, and exports their product to countries all over the world. Mark credits the company’s more than 30 years of success and growth to the strength and innovation of their products. “The traditional factory-fitted access systems are very dangerous, especially when it comes to people who try to carry stuff onto the equipment with them,” he says, describing what sets their Safe-Away products apart in particular. The company’s Trilift equipment, on the other hand, is designed to assist with the removal, installation and handling of components on mining and heavy earthmoving vehicles. Other methods of component handling often involve using forklifts for tasks they weren’t intended for, or require heavy cranes being on hire. Trilift, conversely, is made to work comfortably within the confines of a workshop. Trilift products are also designed with efficiency in mind. A task that would otherwise take four or five people with a crane can be easily achieved by Trilift via remote control, and only requires one or two operators. Over the years, Hedweld has built a strong reputation as an exporter, and have grown to export to 24 countries globally. This reputation has been bolstered by recognition from bodies like the Premier’s NSW Award, who in 2012 rewarded Hedweld’s export success with the accolade for Small to Medium Manufacturer. The previous year, they were also named Exporter of the Year in that category. 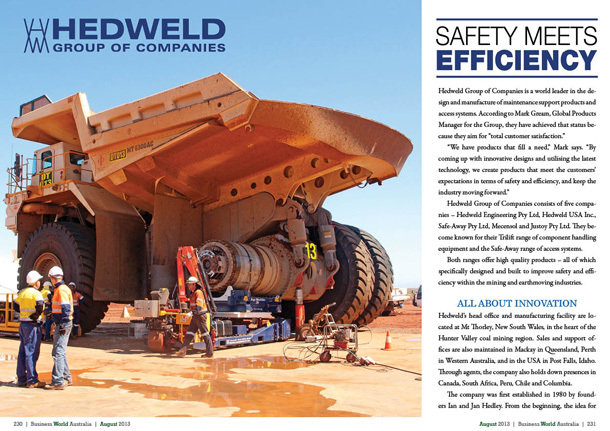 Over the years, Hedweld has forged some close partnerships with other companies and industry bodies. Mark credits the company’s consistent award recognition to the strength of those partnerships. “We work very closely with the Export Council, Austmine and Austrade, and they have assisted us greatly in achieving that success,” he says. When it comes to Hedweld’s success at the Export Awards in particular, Mark cites the fact that the company has consistently grown their their export market by roughly 20 per cent per year. He says that growth is likely to continue, which is a big part of why they have attracted that industry attention. Moving forward, Mark says Hedweld will also be growing their facilities to keep up with that export growth. They are currently building a new processing plant, for example, as well as a new purpose-built assembly facility.